Thanks for chiming in on with your take on Gidget, Tim! With all the positive comments this show is getting, guess I'll be moving it up the "To Buy" queue. It'll have to wait until my big annual "summer vacation" haul before I can watch any, though. I buy most of my DVDs and Blu-Rays here and there, scattered throughout the year, but to save on the egregiously high overseas shipping costs, have them stocked up at my parents' house in Washington State until my family and I head back home for a month every August. Then I take all my new goodies back with me on the return flight to Japan. Spent some quality '50s TV time on YouTube late last night after the wife and kid went to bed. All three of the following episodes were available in good condition. Tombstone Territory - 1.37 "The Black Marshal from Deadwood"
Randall's waxing rhapsodic about the quality of this show and its DVD transfers on the "Vintage half-hour Western" thread inspired me to check the series out. I had forgotten this was a ZIV show; I have liked pretty much every ZIV show I've ever seen, and this was no exception. The "Black Marshal" of the title refers to the violent reputation of a former lawman (Lon Chaney, Jr., in good form) who moves to Tombstone and causes problems for sheriff Clay Hollister (Pat Conway). I was impressed with Conway's tough demeanor, the action and interesting story. Will be picking the Complete Series set from Timeless / Shout soon. Highway Patrol - 1.1 "Prison Break"
Another good - and much more well known - ZIV show, following big, gravel-voiced Broderick Crawford as Chief Dan Matthews, as he leads the manhunt for a ruthless escaped convict (Robert Stevenson). This show really moves, with lots of edits, action and (per usual for a ZIV show) a good deal of cool exterior photography, including plentiful helicopter shots of cars and buses careening down the highway. I especially enjoyed the way Crawford barks out orders in a machine-gun patter, rumbling away like a cement mixer...not to mention the fearless way he faces down the thug at the finale. Great stuff. Coronado 9 - 1.38 "Blonde Herring"
This was a Revue series, not ZIV, but nothing wrong with Revue either, as they also have some nifty shows to their credit. This one features burly former B-western star Rod Cameron as San Diego P.I. Dan Adams. In this episode, Adams infiltrates a gang of smugglers on board a tramp steamer, in order to find out who is the brains behind the organization. Among the passengers are bad girl Carol Ohmart and an air-headed lounge singer (Sue Ane Langdon). Plenty of action, intrigue and femme fatale flirting make this one a pulpy good time...though it's a bit of a stretch to see the two fetching actresses making goo-goo eyes at rumpled, aging giant Cameron. This series is out on DVD from Timeless, and I'll be picking that set up also at some point in the near future. Rustifer, Bob Gu and Flashgear like this. I enjoy when Jack Kelly takes the lead as Bart, too (he does do especially well in the more dramatic episodes), but he lacks that special spark which Garner brought to the show. Not to disparage Kelly's acting talents...few actors had that special magic that Garner . As a kid watching the show, I remember being so disappointed when an episode featured Jack Kelly instead of James Garner. Kind of like tearing opening a present on Christmas morning only to find a pair of socks instead of a nifty toy. Like you describe, Kelly just lacked that empathetic connection that Garner could always muster with his audience. Now, as an adult, I'm much more attuned to Kelly---but you'll notice I did my commentary on a Garner episode. Still my favorite. Also the granny dress with high collar she's wearing didn't particularly chuckle one's chicklets, either. She can be sooo breathtakingly beautiful in the right setting. Flashgear, BobO'Link, Jeff Flugel and 1 other person like this. Like you describe, Kelly just lacked that empathetic connection that Garner could always muster with his audience. Somewhat like it was w/the late Richard Hatch in place of Michael Douglas for that fifth and final season's worth of The Streets of San Francisco, isn't it? Jeff Flugel and Rustifer like this. "The clowns in the circus are real funny...but on the highway--they're murrrrder!" That he said it with a straight face is a tribute to his acting ability. God knows, it put me on the floor. Among the passengers are bad girl Carol Ohmart and an air-headed lounge singer (Sue Ane Langdon). Great story I read about Sue Ane Langdon. Back in Jackie Gleason's heyday, he would sponsor a train to take his variety show's entire crew from New York down to Miami for the summer hiatus. A fully stocked bar in each car, and plenty of party-hungry females, made the train trip more than just memorable. Among the most voracious man-eaters on board was none other than Sue Ane Langdon. Flashgear, Bob Gu, Lutz Koch and 2 others like this. OK... In spite of saying "no real stinkers" I'll give you "The Alternative Factor." It *is* one of the lesser episodes of the series and absolutely the worst episode of S1. However, I'd rather watch it than "The Way to Eden," The Empath," or "And the Children Shall Lead," all from S3. I'd generally rather watch "The Alternative Factor" than "Charlie X" but I'm not too keen on either. There are several 2nd season entries that I waffle on them or "The Alternative Factor" being worse. It usually depends on my frame of mind. Yes, I included "The Empath" in my list of "lesser" TOS episodes. I've never liked that one. I didn't include "Spock's Brain" as I rather enjoy it and think it's better than its legacy. I'd watch it over any of the episodes I've listed in this post. With you 100% on all of that, Howie! "Charlie X" isn't a bad episode, per se, but it's one I'm not keen on. And yes, I'll definitely take "The Alternative Factor" over the hippie episode and the little kids one you mentioned. Great story, Russ! 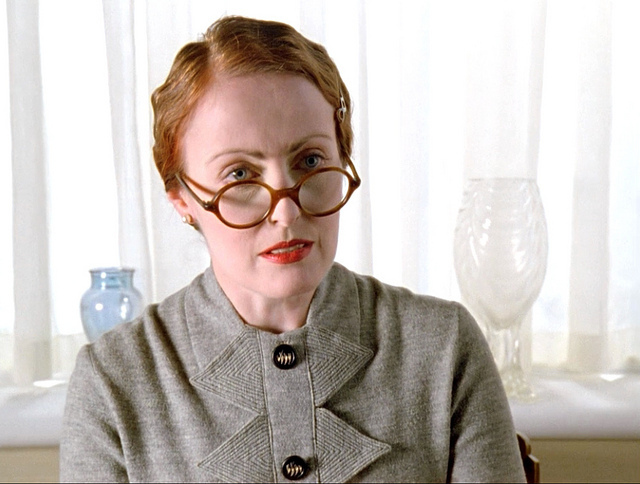 Somehow I'm not surprised to hear that about Ms. Langdon. Flashgear, Bob Gu and Rustifer like this. Now that I've got that out of my system, I will stash all fantasies about Sally Field behind the books on the shelf (lest my wife uncover them--"What's SHE got that I don't have?!") and go back to simple commentaries on TV shows. Flashgear, Mysto, Jeff Flugel and 1 other person like this. Jeff, great shot of Sue Ane. It's a still from classic Warner TV's few, or maybe only, forays into family sitcoms, ROOM FOR ONE MORE-1962. 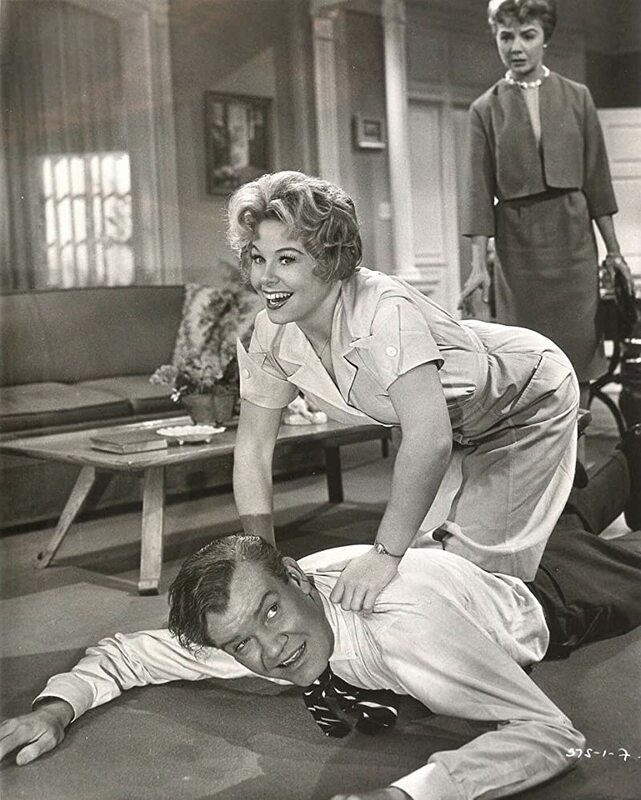 That's Andrew Duggan on the floor and wife Peggy McCay looking on. Ahna Capri was in the show too. Sue Ane was a guest. The only thing I remember about the show was a bit from the theme song, the part that sang, "Room for One More!! ", oddly enough. It was a mid season replacement, for THE ROARING 20's. Lasted 26-27 episodes, and was based on a 1952 Warner Cary Grant movie. The dog's named Tramp. The same dog from MY THREE SONS?, moonlighting? I guess not. morasp, Jeff Flugel, Flashgear and 3 others like this. Is 1989 old enough to be called CLASSIC? Started talking about Poirot in the Mystery Series of the 30's and 40's thread and had to start re-watching the Suchet versions again. So far we're through the first six. These are among my wife's favorites as she prefers the ensemble cast with Cap. Hastings - Insp. Jap and Miss Lemon. This time we are watching the blu-rays on the projection screen and they play "big" very well unlike some other made for tv shows. Darby67, Jeff Flugel, Doug Wallen and 3 others like this. 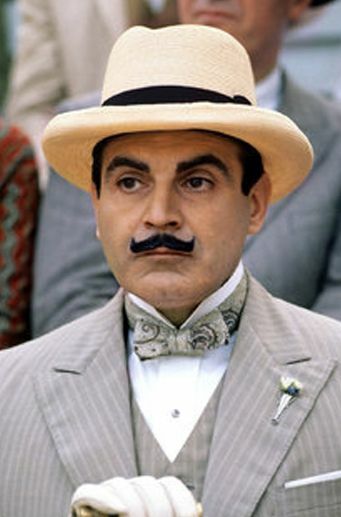 David Suchet's Poirot is among the scant shows my wife will watch. I love the propriety of the Miss Lemon character. This is one gal you won't find dancing on the bar in a speakeasy. Did you mention something about the Jesse Stone series--was it my imagination or did you abort the thought? Darby67, Jeff Flugel and bmasters9 like this. Realized it was not the appropriate thread and deleted it. We just finished the entire series - Loved them but very sad tone. ADDED: Just to keep the thread on track - We are watching Laugh In for our "fill in time before we watch the news and go to sleep". I'm sure that today's younger audience would not enjoy many of the jokes as they were so topical to the times. Montytc, Jeff Flugel and bmasters9 like this. Ha! The wrong thread, Marv? You must organize your shoes by color, have a dedicated handkerchief drawer, and only eat orange food. We don't need no stinkin' rules on proper thread etiquette. But you're probably right that this isn't the place for Jesse Stone. I had high hopes for the series, especially after reading some of the Robert Parker books, but the episodes were so dark I wanted either Tom Selleck or myself to commit suicide afterwards. Jeff Flugel, Flashgear and Mysto like this. Flashgear, Darby67, Jeff Flugel and 1 other person like this. Well, Cordon Bleu my chicken! Flashgear, Darby67 and Jeff Flugel like this. Great before and after shots, Marv! 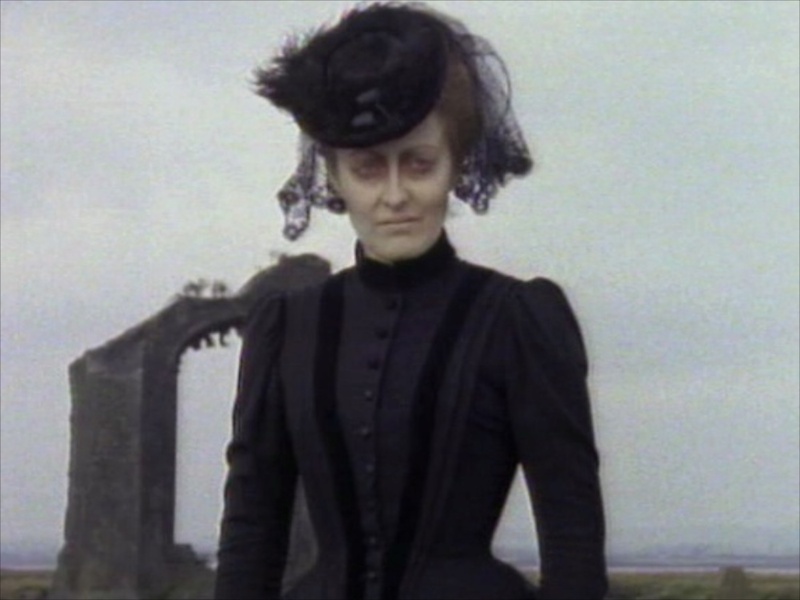 Ms. Moran also played the titular ghost in the very creepy 1989 ITV telefilm The Woman in Black. I like Poirot too, though I vastly prefer the earlier ones, with Hastings, Japp and Ms. Lemon...some of the last few movie-length ones were real hatchet jobs on Agatha Christie's original plots, switching up who was the murderer, adding and dumping various characters, etc. ("Cards on the Table" was a particularly egregious example.) The producers apparently thought they could write better mystery plots that the Queen of Crime herself, and of course, were sadly mistaken. 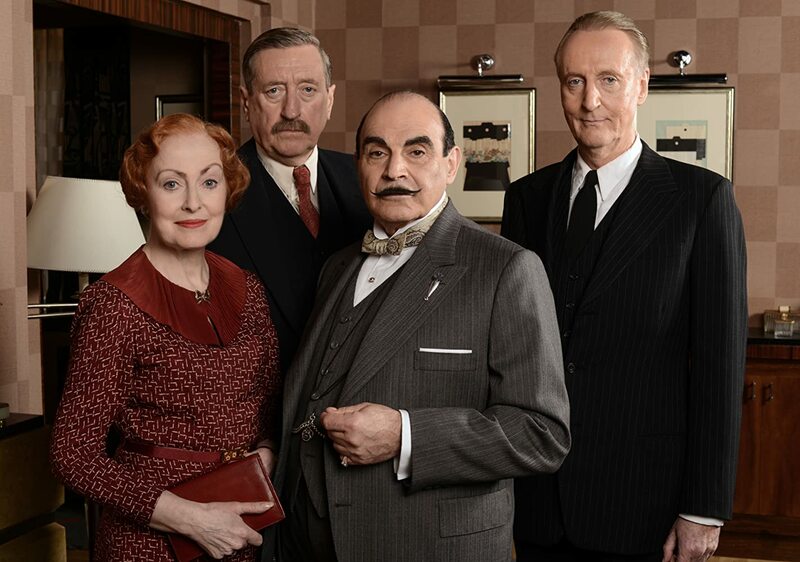 Suchet's Poirot is sometimes just a touch too fussy and comedic for my tastes, but otherwise he is as close to definitive as we're likely to get. Those Blu-Ray sets are things of beauty, Marv! And similar to both you and Russ, my wife is also a big fan of this show. Here is the original cast, reunited for "The Big Four," one of the last adaptations made, which aired in 2013. Flashgear, Darby67, Mysto and 1 other person like this. Thanks for the background info about that still of Sue Ane Langdon, Bob! Never heard of the Room For One More TV show. Wonder why Warner Archive haven't popped this sucker out...shouldn't be too many music clearance issues to hold this one up, I wouldn't think. My wife and I, too, are fans of Suchet's Poirot. She's the one who got me watching them (she loves Christie's print work and insisted we watch Poirot when she discovered it). I'd just about collected the series when they got remastered. Of course I had to purchase the remastered editions as they're in proper order so you can see how the series changed over time. I consider it to be rather definitive and have trouble watching anyone else in the role. I've gotten further in that TAGS BR set and am finding the writers are getting better integrating those sponsor bits into the scripts. They're becoming much more organic with only Griffith's breaking the 4th wall to recommend the product taking you out. The more I see the more I wish the set had sold better so more seasons could have received such treatment. 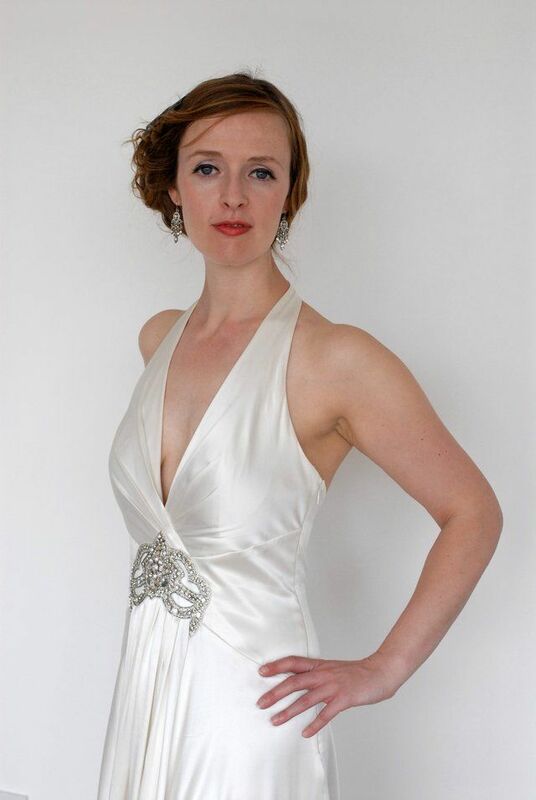 I do not believe that 2nd photo is the same Pauline Moran that plays Miss Lemon. There are subtle differences. Eye color, eye shape, mouth shape, eyebrows (I've found no other style Ms. Moran used other than what she sports with Miss Lemon) and nose are all slightly different. I've also found no other site, other than one Pinterest page, which uses that photo.